When Amazon released the Echo hardware and Alexa voice assistant, no one knew for sure how successful it would be. Since the release, however, it has proven wildly popular -- not only with users, but with developers and hardware-makers too. There are many devices that work with Alexa, not to mention, countless skills. Following Echo being a runaway success, Google copied it with its Home assistant. Curiously absent in this copying, however, was Apple. Since the company already has a voice assistant with Siri, it seemed like creating a hardware speaker would be a no-brainer. Sadly, one did not surface -- until now. Today, Apple announces the product for which many people were clamoring -- HomePod. Unfortunately for the company, the product will be a tough sell. 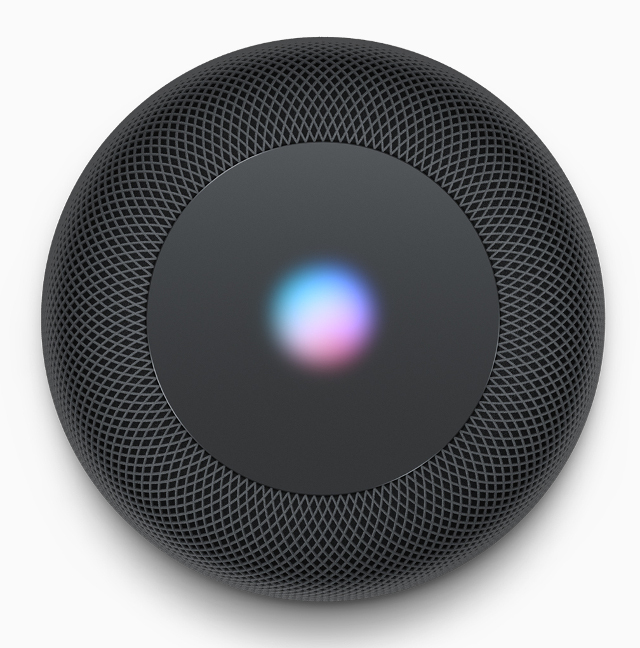 "As a home assistant, HomePod is a great way to send messages, get updates on news, sports and weather, or control smart home devices by simply asking Siri to turn on the lights, close the shades or activate a scene. When away from home, HomePod is the perfect home hub, providing remote access and home automations through the Home app on iPhone or iPad," says Apple. The HomePod features a total of eight speakers -- seven beam-forming tweeters and an upward-facing 4-inch woofer. It also has six microphones so it can pick up your voice better regardless of where you are standing in the room. The brains of the unit, Siri, is powered by an Apple A8 processor -- the same as found in the older iPhone 6. The iPhone-maker further says, "HomePod is designed for voice control with an array of six microphones, so users can interact with it from across the room, even while loud music is playing. By saying, 'Hey Siri, I like this song,' HomePod and Apple Music become the perfect musicologist, learning preferences from hundreds of genres and moods, across tens of thousands of playlists, and these music tastes are shared across devices. Siri can also handle advanced searches within the music library, so users can ask questions like 'Hey Siri, who's the drummer in this?' or create a shared Up Next queue with everyone in the home. 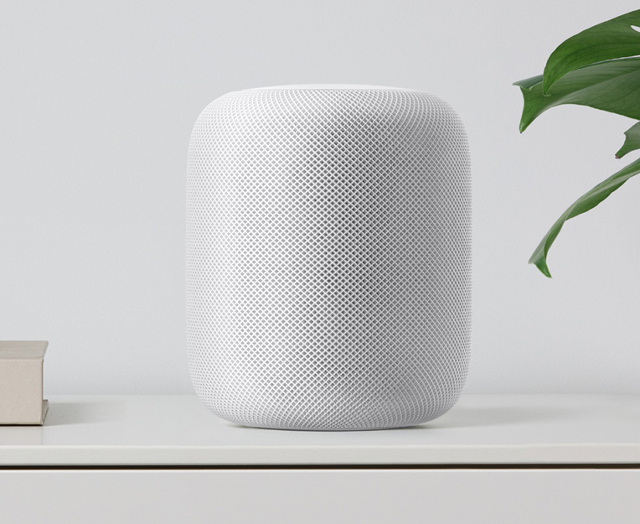 HomePod, Apple Music and Siri deliver the best music experience in the home that streams ad-free directly to HomePod." So why do I call it a tough sell? Well, for one, it is a bit expensive. At $349, it is much more expensive than the Amazon Echo or Google Home. With that said, those two options aren't known for having good sound quality. While I use my Echo as a Bluetooth speaker daily, I never find myself truly enjoying the quality -- it is just passable. Apple is looking to create a music player first, with the smart assistant aspect being secondary. If the quality proves to be as good as the company claims, the 7-inch speaker system could be worth the premium. For those that don't care about music playback, and only want an assistant, spending $350 would be insane. Even if you do desire the potential quality music playback, it seems to only be geared towards Apple Music. If you instead use Google Play or Spotify, this likely isn't for you either. Ultimately, HomePod is probably only good for those that are deeply entrenched in Apple's world. If you do want to purchase the HomePod, I have bad news -- you can't buy it! At least not anytime soon. Sadly, it won't be available until December 2017. In the technology world, this is an eternity -- it gives both Google and Amazon the opportunity to produce their own audiophile-focused hardware. Will you be buying Apple HomePod? Tell me in the comments.